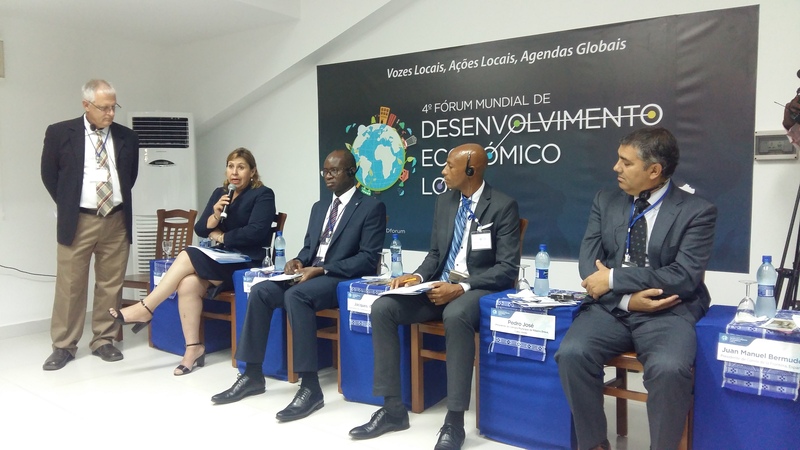 From 17 to 20 October 2017 the city of Praia (Cape Verde), hosts the 4th World Forum on Local Economic Development (World LED Forum). UCLG is participating as organizing partner together with other partner organizations, such as the United Nations Development Programme (UNDP), ORU-FOGAR, ILO and FAMSI. Around 2000 participants from 120 countries gather together to take part in the discussions. This year focuses on the contributions of Local Economic Development to the implementation of the 2030 Development Agenda, and especially, highlights the potential of the local economic development model(s) in implementing SDG8 and SDG17. The World Forum on Local Economic Development is a biannual event established as a platform for active exchanges and discussions to achieve more inclusive and sustainable cities and the role-played by local and regional governments to achieve this goal. The programme of the Forum is structured around 7 axes. UCLG is the coordinator of Axis 6: Inclusive and sustainable urbanisation patterns, which included the organisation of one Policy Dialogue and 5 panel sessions, covering sub-topics such as informal economy, intermediary and insular cities, circular economy and sustainable financing mechanisms. UCLG further plays an active role in the learning activities on localizing and circular economy games on waste management. On Tuesday 17 October, a learning workshop on “localizing SDGs” was organized by UCCI, FLACMA, Mercociudades, Proyecto AL-LAS in partnership with UCLG Africa and UNDP. 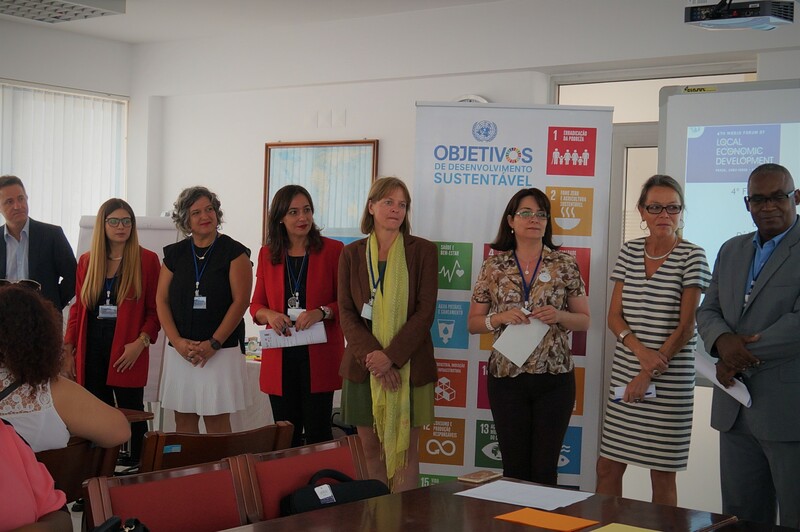 This training session entitled “Learning on Localizing SDGs: dialogue between networks from Latin America and Africa” aimed to exchange good practices on the implementation of the Sustainable Development Goals (SDGs) and to replicate this methodology with local associations, NGOs and other multilevel actors. After the workshop, President of UCLG, Parks Tau, attended the UCLG Working Group on Local Economic Development together with the Federation of Canadian Municipalities (FCM) and the Fund of Andalusia Municipalities for International Solidarity (FAMSI) to discuss the work plan and structure, as well as the priorities of the Committee members. The agenda towards and after the UCLG World Council December meetings in Hangzhou was also discussed, as well as the different visions of local economic development in the different regions. 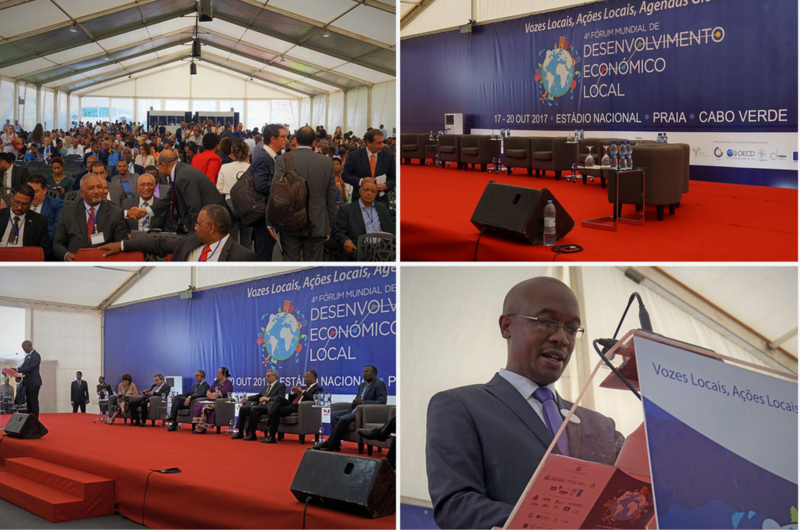 Later in the day the Opening Ceremony took place where Parks Tau, President of UCLG, highlighted the challenge to continuing empowering local authorities to make them ready to deliver accountable and effective governance to ensure that development is inclusive and sustainable. 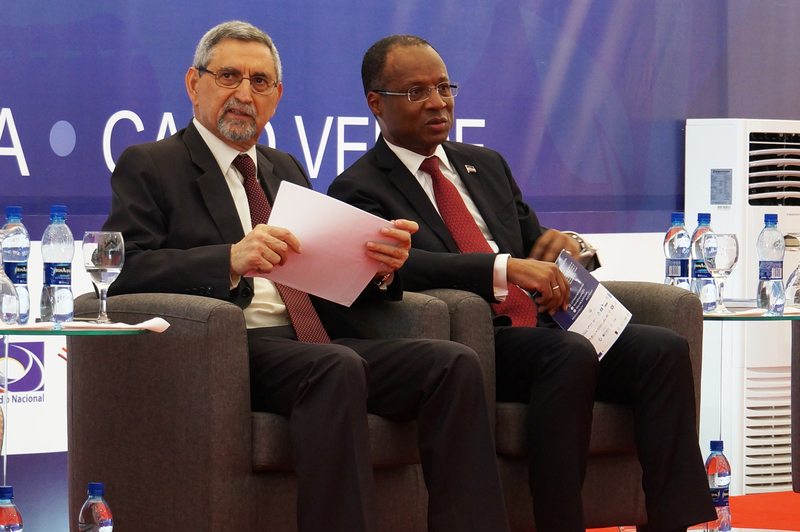 Jorge Carlos Fonseca, President of Cape Verde, also addressed the audience adding, “The state government should not limited to give resources but should facilitate that the concerns of local actors are leaded into programs for sustainable development. This includes testing and monitoring policies to consider the opportunities and the right to personal realization and quality of life”. The day closed with the Interactive Panel “Inclusive and sustainable economies as tools to transform inequalities and inequities – A view between Latin America and Africa” where participants engaged in interactive discussions with the audience. Parks Tau, said "informal economy and taxation should be progressively formally framed in order to improve the economy in African and Latin American municipalities”. On Wednesday 18 October two Interactive Panels were organized by UCLG in partnership with UCLG Africa. The first Panel session “Climate Change and LED: How to Mitigate Climate Change While Fostering Local Economic Development”, moderated by the Secretary General of Metropolis Octavi de la Varga, was held during the morning and participants discussed how the fight against climate deregulation can also enhance local development initiatives and agreed that there is a need of a joint action with a shared vision of all stakeholders to tackle climate change. The second Panel session “Informal Economy Between Regularization and Access in Transition Phases” took place later in the day and the session looked at ways to support and strengthen the role of local governments in the informal economy. The role played by local and regional governments is essential as they make a necessary link between all actors in the business sector, from the formal to informal entrepreneur. Local and regional governments can facilitate and support all economic actors to contribute to a local economic development strategy. As well, an Interactive Panel “City City Cooperation to benefit of LED and food security” was organized in by the Food and Agriculture Organizations of the United Nations (FAO) in partnership with the UCLG Community of Practice on Food Security. Members of the panel discussed the local governments role on education on agriculture based on the added value of our territories. But the highlight of the day was the UCLG Learning game “The potential of circular economies”. The main objective was to facilitate dialogue through a game with possible scenarios to understand the circular economy and the variables which influence decision-making on waste management. Participants in groups had to acquire a different role, e.g the mayor, an NGO representative or the spokesperson of the tourist group and find common solutions to overcome the challenge. The goal was to develop an understanding of the ways in which different actors behave in order to seek agreements in multi-disciplinary teams. This third day of meetings saw two interactive panels organized by UCLG, focused on the influence and of the Intermediate Urban Islands and Intermediary Cities in local economic development. In the morning, the “Interactive Panel: Focus on the Intermediate Urban Islands Influence”, debated urban and territorial issues in this specific territorial environment. The Intermediate Urban Islands Influence Project aims to share knowledge on the common challenges that urban islands face and help local governments share experiences and best practices to plan a common strategy to improve the live of their citizens. 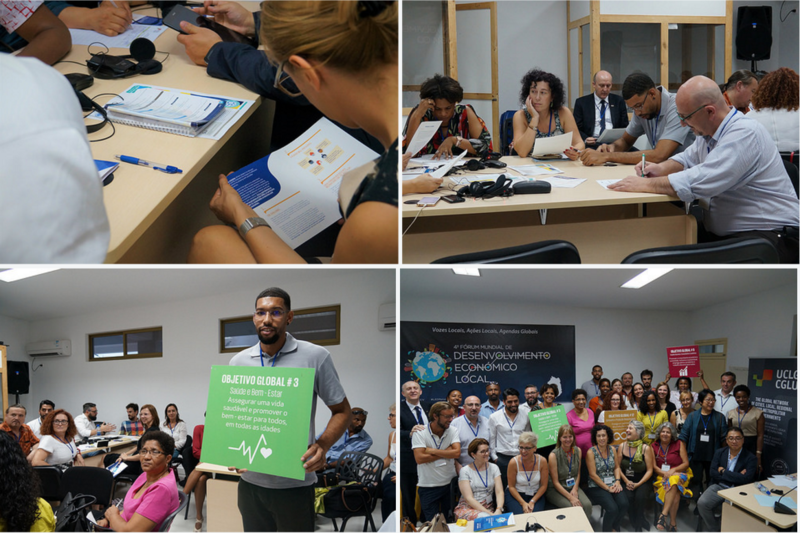 Taking into account governance, connectivity, circular economy and sustainability, participants shared experiences for local economic development from the perspective of Cabo Verde, Tenerife and the archipelagos in Mozambique. 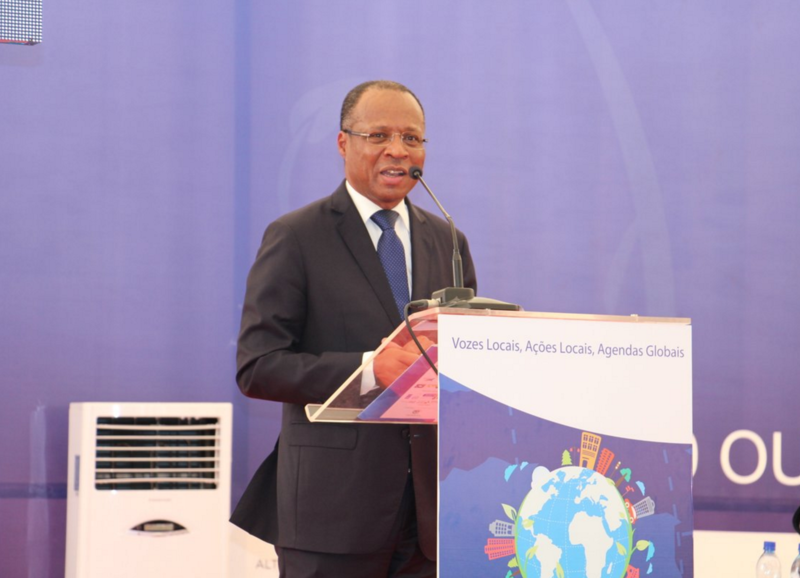 José Alves Fernández, Mayor of Santa Caterina, Cape Verde said, “territorial policies have to include the organization and economy of the urban islands”. Panellists also emphasized it should not be forgotten that urban islands are more vulnerable to natural disasters. The role of local and regional governments is to plan a sustainable circular economy and to implement policies on the ground to increase resilience in urban islands. Participants in the “Interactive Panel: Cities as a Key Player in South-South Cooperation for LED” examined how I-Cities have potential to develop a different kind of South-South cooperation for more equitable local economic development. David Navarro, Deputy Mayor of Cadiz, shared practical examples of how migration and cultural diversity are strengthening local economic development in the city. Firdaous Oussidhoum, UCLG Coordinator of the I-Cities Forum, highlighted that intermediary cities are drivers of competitiveness in the local economy. Firdaous Oussidhoum also added “that local and regional governments, particularly intermediary cities, are uniquely situated to work jointly with rural neighbourhoods, communities and workers to foster decent jobs and wealth”. The Panel emphasized that, to foster local economic development, local and regional governments need to be adequately funded and have access to necessary resources. The last day of the Forum began with the UCLG Policy Dialogue on Sustainable Urban Development, moderated by the UCLG Committee on Local Economic Development. Jacques Carriere, from the Federation of Canadian Municipalities (FCM) guided this interactive dialogue that enabled participants to exchange answers and experiences relevant to the challenges in their municipalities. The session looked at urban growth and how to manage it in a sustainable way. It presented the experience of the city of Gaziantep in managing services for over 450,000 refugees, on top of their 2 million inhabitants. The city started a programme to construct 50000 social housing units and is accepting refugees as fully-fledged citizens. The challenge related to their employment is essential for inclusion and peace. Mayor of Vinto, Bolivia, Patricia Arce put a special emphasis on the role of gender equality in sustainable development, arguing “the more we strengthen women’s competences, the more we can achieve in development”. Mayor Arce underlined the importance of national and local government policies and funding working hand in hand on leadership programs to institutionalize women’s empowerment. A number of mayors from Africa and Latin America recalled the role of decentralization in creating sustainable and transparent institutions. Finally, the municipality of Ribeira Grande, Portugal, showcased its successful public-private partnership to restore a heritage building in which 20 families had been living in deplorable conditions. Gladys Alarcon, Mayor of Yuchará gave clear examples of procurement of local production of school meals where 60% of the municipal income is dedicated to educational services. The Minister of Foreign Affairs of Maldives, Mohamed Asim, as well as the Mayor of Ouahigouya, Burkina Faso, Boureima Basile Ouédraogo, expressed their admiration for Cape Verde and the city of Praia, where the implementation of sustainable policies is very visible: Praia is a model of a clean city for all of West Africa. The plenary also saw the adoption of the Final Declaration of the Forum, which recognized the leading role of local and regional governments and their associations, and of city-to-city dialogue for mutual learning to enable effective and inclusive local economic development processes in partnership with national governments. The crucial role of intermediary cities was also acknowledged in fostering urban-rural linkages and integration through sustainable production and consumption patterns. 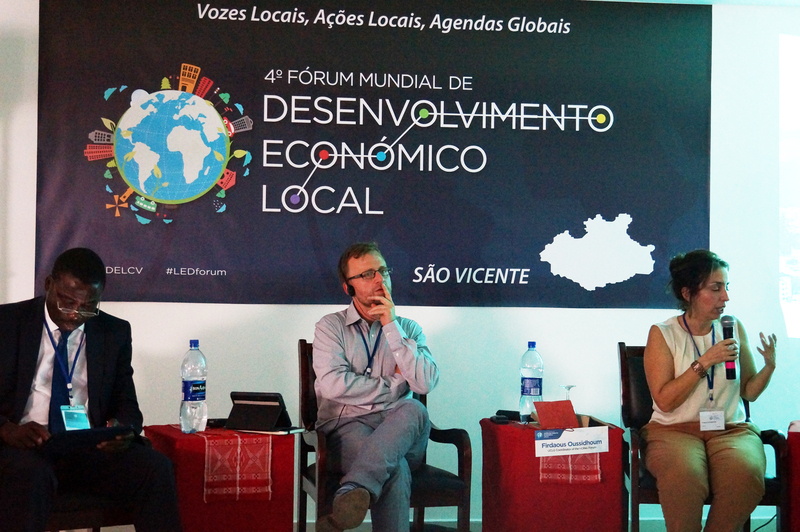 The forum gave exposure to Cabo Verde and island cities realities. 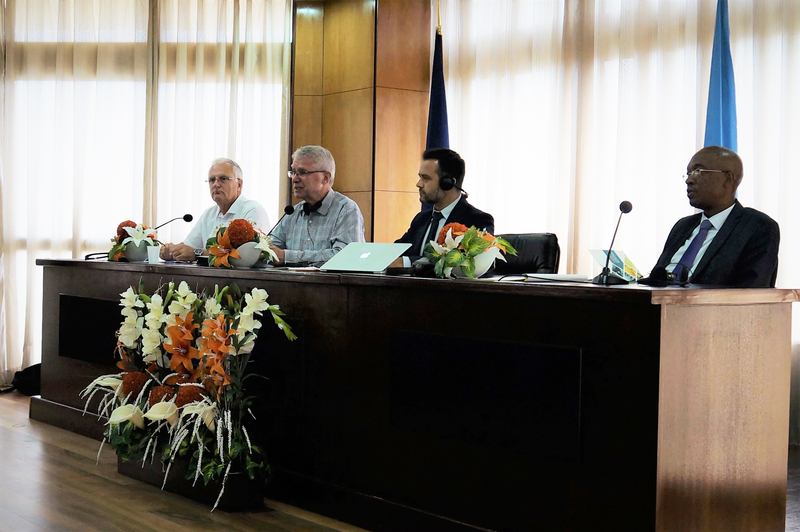 Several of our members have engaged in collaboration agreements, in particular with the Association of Municipalities of Cabo Verde. The UCLG Committee on LED will be accompanying them. We are sure this will make our network stronger and bring the deserved attention to the implementation of the SDGs.